Dr Michael Eller is a highly qualified neurologist with subspecialty training in headache neurology and movement disorders. He also maintains an interest in indigenous health and tropical medicine. He has previously worked as a visiting specialist at Monash Medical Centre and Royal Darwin Hospital. He currently consults at Monash Neurology. In 2003 he completed a degree in medicine from the University of Sydney. Prior to this he completed a Bachelor of Science as well as much of a Bachelor of Arts with interests in archaeology and neuroscience. Postgraduate training was conducted at Royal Melbourne Hospital, Royal Darwin Hospital and The Alfred Hospital. Subsequent neurology training was undertaken at Monash Medical Centre and the Alfred Hospital after which he was admitted as a Fellow to the Royal Australian College of Physicians. Dr Luke Chen is a highly qualified neurologist with subspecialty expertise in hearing and balance disorders, neuro-otology, neuro-opthalmology, eye movement disorders, multiple sclerosis, and has an interest in atypical parkinsonism. His undergraduate training in medicine was at the University of Melbourne and obtained his MBBS in 2003, followed by completion of basic physician training at the Austin Hospital in 2007. 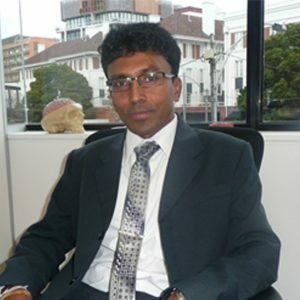 After completing core years of advanced training in neurology at the Alfred and Austin Hospital in Melbourne (2008-2009), he undertook a Fellowship in neuro-otology from 2010 to 2013 with Professor Michael Halmagyi and his group at the Institute of Clinical Neurosciences, Royal Prince Alfred Hospital, Sydney. This group, led by Professor Halmagyi, is internationally renowned for leading the field in clinical and academic neuro-otology. 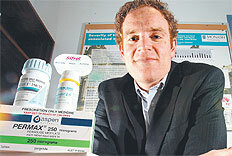 He was admitted as a Fellow to the Royal Australasian College of Physicians in 2011. Dr Hutton is a specialist neurologist with an interest in headache, neuropathic pain, peripheral nerve disease and general neurology. Dr Hutton has recently returned from a four year Fellowship at the prestigious National Hospital for Neurology and Neurosurgery in London. Dr Hutton completed her undergraduate training at The University of Tasmania, obtaining her MBBS in 2000. 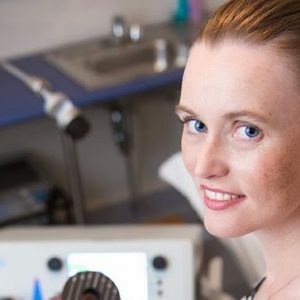 She undertook specialist training in Neurology at The Alfred Hospital and Monash Medical Centre before being awarded the Australian and New Zealand Association of Neurologists Fellowship at the National Hospital for Neurology and Neurosurgery, London. 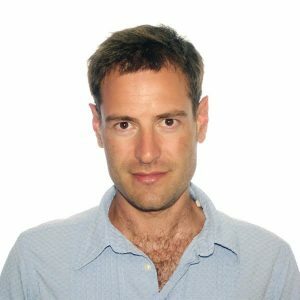 Whilst in London, Dr Hutton completed postgraduate studies in Headache, Peripheral Neuropathy and Neuropathic Pain. She was admitted as a Fellow of the Australasian College of Physicians in 2008. 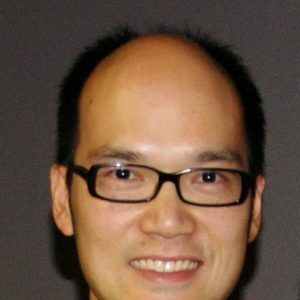 Dr Will Lee is a specialist neurologist with interests in movement and neurodegenerative disorders as well as stroke and general neurology. He is a visiting neurologist at the Alfred Hospital and has been awarded the prestigious Movement Disorder Society of Australia Research Fellowship for 2012. In 2003, Dr Lee completed his undergraduate medical training at The University of Melbourne. His post-graduate training in internal medicine and subsequent specialisation in neurology were undertaken at the Austin and Alfred hospitals. In 2011, he completed the Movement Disorder Fellowship at the Alfred Hospital and was admitted as a Fellow to the Royal Australasian College of Physicians. 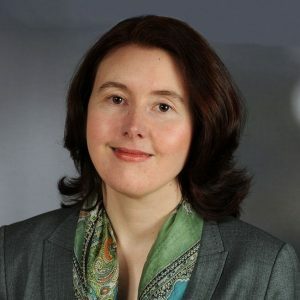 Dr Lee specialises in the management of movement disorders including Parkinson’s disease, essential tremor, progressive supranuclear palsy, multiple system atrophy, dystonia and other neurodegenerative disorders. Dr Fedi is a specialist neurologist with an interest in epilepsy, stroke and general neurology. He trained in Neurology at The Alfred Hospital and The Austin Hospital in Melbourne, after having received accreditation as a specialist Neurologist in Italy. Dr Fedi also works in the Intensive Care Team at The Alfred Hospital. Dr Fedi speaks English and Italian, and is happy to consult entirely in either language at your request. Dr Saman Punchihewa is a highly qualified Consultant Neurologist with interests in neurophysiology, epilepsy and general neurology. Dr Punchihewa holds public appointments at Monash Medical Centre and Frankston Hospitals with a significant role in the Neurophysiology department at Monash Neurology. He was awarded an Australian Government Scholarship (John Crawford Scholarship) to study Medicine & Surgery in Australia and also received Dean’s Honors in two consecutive years at medical school. His undergraduate medical training was undertaken at Melbourne University and clinical training was at St Vincent’s Hospital, Melbourne. After completion of medical training, he went to New Zealand where he did his Basic physician training at Christchurch and Dunedin Hospitals.